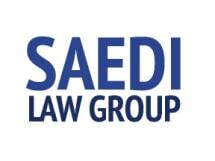 Saedi Law Group, LLC, has nine law offices throughout North Georgia to ensure that our law firm's services are convenient for all of the residents of the Atlanta metropolitan area. In addition, we have two law offices inside the perimeter, our main office in Brookhaven and a branch office in Midtown. At any of our locations, you will find an experienced and dedicated team of attorneys ready to help you overcome your financial struggles by guiding and supporting you throughout the bankruptcy process. We offer legal assistance to both consumers and businesses seeking protection via Chapter 7 or Chapter 13 bankruptcy. In addition, we can help you reach a settlement with a creditor or assist you in negotiating a settlement with the state or federal tax authorities. If you live or work in North Georgia and you face overwhelming debt, look no further than Saedi Law Group, LLC, for the help you need to work toward a secure financial future. Our attorneys have more than 25 years of combined experience, and they can find a solution that fits your specific needs. If you would like to discuss your situation with one of our attorneys, we invite you to schedule a free initial consultation at any of our nine offices. My experience with Saedi Law Firm has been excellent and wonderful. I happen to have one of the longest bankruptcy cases they have had in a very long while. Lorena Saedi stood with me all the way for 2 years. I was not charged an additional fee from the original fee, and they stayed the course until my bankruptcy was discharged. Their lawyers particularly Lorena Saedi went with me to every court proceeding that was required by the United States Trust. Eventually, my case was discharged. An up-to-date guide that can help you assess options, find help, discover opportunities, and take action that works.